Cooking Magic for Kids | A life changing recipe for health and happiness from garden to table to inspire a generation of kids to eat more fresh fruits and veggies. 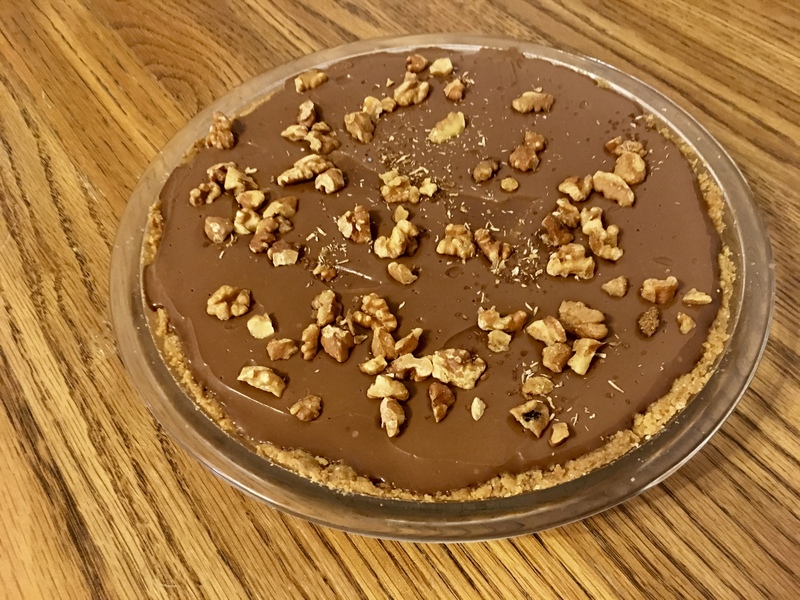 Kids can make this smooth, cool, and creamy chocolate pudding in a shortbread tart shell that will make any day a celebration. For the shortbread pie crust, kids can mix 1 ½ cups flour, ⅓ cup sugar, ⅛ tsp salt in a large mixing bowl and slowly add ¾ cup cold vegan butter, a tablespoon at a time. Kids can mix with a fork and their fingers until the dough comes together. Press the dough into a 9” pie pan and pierce the bottom and sides of crust with a fork. Put the crust in the refrigerator for 15 minutes. Set the crust on the counter and preheat the oven to 350°. Bake for 10 minutes. Rotate the pie pan and bake another 15 minutes until light brown. Let it cool completely. Kids can make an irresistible filling by whisking together 1 cup organic plain almond milk and ¼ cup arrowroot starch in a 2 quart saucepan. Whisk in a 13.5 oz can organic coconut milk, ⅓ cup organic cane sugar, ¼ cup organic cacao powder, and ⅛ tsp sea salt. Bring to a rolling boil, turn down heat, simmer and whisk mixture for 7 minutes as it thickens. Add ½ cup organic vegan chocolate chips and allow them to melt. Stir in 1 tsp pure vanilla extract. Pour into the shortbread pie crust and let cool on the counter for 15 minutes. Cover with parchment paper to prevent a film from forming and refrigerate for 3 hours or more. Kids can roast ⅓ cup chopped organic walnuts on a sheet pan lined with parchment paper for 15 minutes at 325°. Let cool. Sprinkle the nuts on top of the pie before serving. Kids can eat one ounce of dark chocolate a day with a 70-87% cacao for good health! Ancient Mayan healers proclaimed chocolate as being essential for good health and a cure for many illnesses. Scientists today have proven they were correct about cacao, but not about chocolate candy or other chocolate confectionaries, as these are processed with lots of sugar and added ingredients. 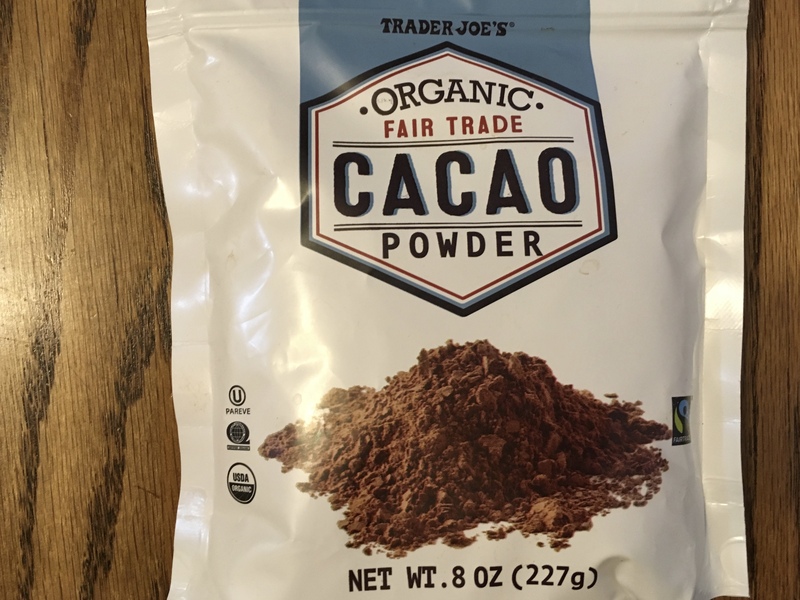 Kids can use less organic cacao powder than processed chocolate in baking and cooking and get more nutrients and an amazing rich chocolate flavor. The cacao bean is rich in fiber, carbohydrates, minerals, antioxidants, and flavonoids. Flavonoids are phytonutrients that help regenerate cell growth and guard the body against diseases, keeping blood vessels healthy and decreasing inflammation. The higher the percentage cacao the more flavanols is in the chocolate. Cacao also contains caffeine, so chocolate should not be eaten before bedtime. Cacao trees grow in the tropical rainforests of the world. Their seeds are fermented, dried, cleaned, roasted, and shelled, to produce the nibs, which are crushed to form a chocolate liquor or paste. To create eating chocolate, manufacturers process the cacao with extra cocoa butter, sugar, lecithin, dairy products, flavorings, and additives. Kids can use the purer form of chocolate, organic cocao powder, in their pies, cakes, and brownies for a bigger flavor punch, a more tender texture, and an intense chocolate flavor. 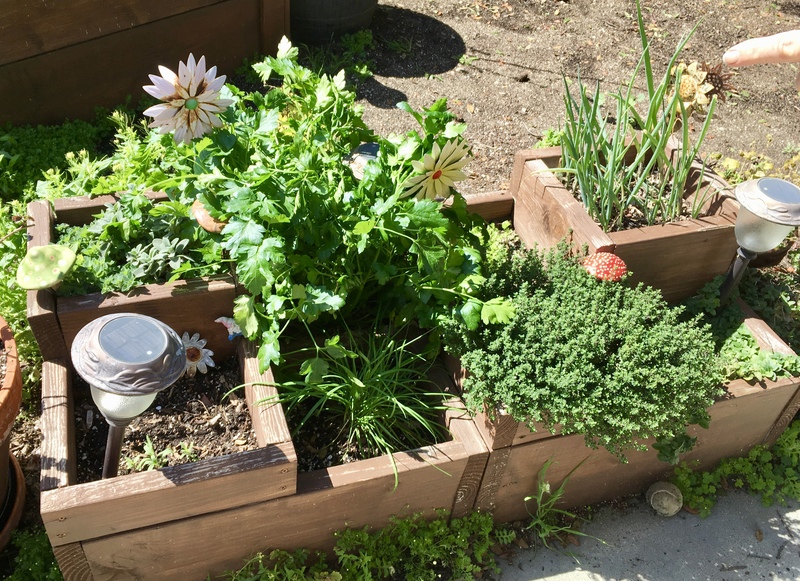 Springtime is the perfect time for kids to revitalize the soil in their raised bed gardens. The beauty of container gardening is filling the container with rich organic soil from the garden center or local soil company, even if the dirt beneath it is poor or the area is small. Then kids can create their own soil by filling a compost bin. Organic soil is alive with microorganisms, mycorrhizae, fungus, algae, and bacteria. Every cubic inch of healthy soil is a miniature world of beneficial living organisms that feed all living things on our planet. 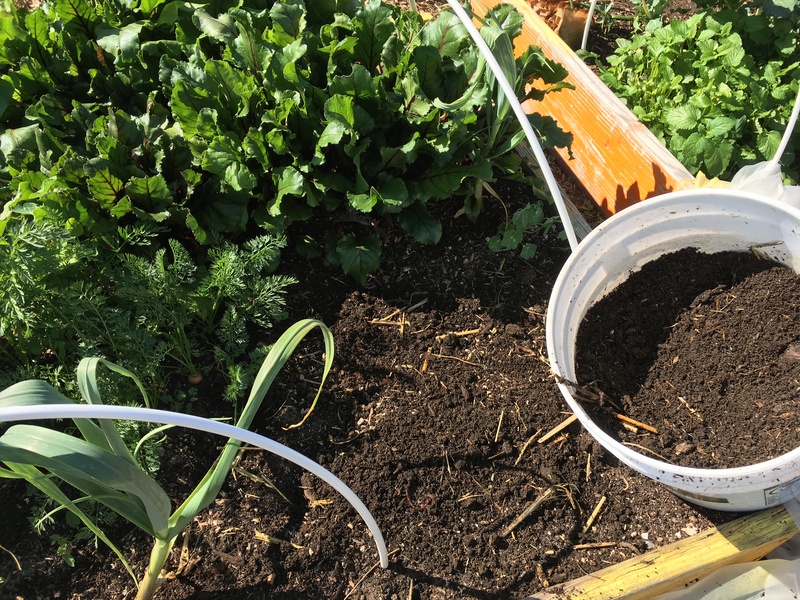 This micro-universe takes the organic material in the soil and turns it into useable food and nutrients for the vegetables and fruit growing in the garden. Healthy soil likes to be layered. Soil layers start with a mulch of compost, organic material that is incorporated into the soil by microorganisms, worms, and insects, with a humus rich layer of topsoil beneath. Kids can layer compost on top of last years garden to improve soil structure, so that it retains more water and gives roots more room to grow. Fungi and bacteria in the compost are highly adaptable decomposers, secreting enzymes that convert the raw materials into an energy source which enriches the soil. Kids can add red wriggler worms, who excrete a highly nitrous fertilizer called castings into the soil. 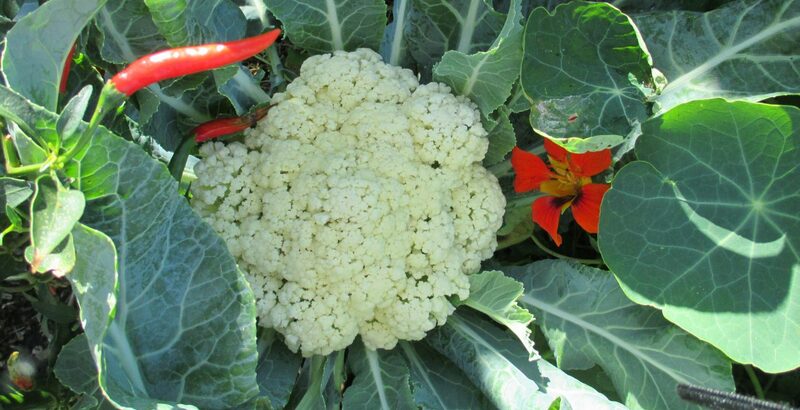 This casting has the highest quality nutrients and micro-organisms for water retention, air flow, and minerals, which makes the best food for the veggie plants. Kids can also plant a season of cover crops, like peas, clover, or beans, to build the soil’s fertility. One of the best ways to minimize pests and diseases in the soil is by crop rotation, planting a different crop in the same soil every year. Companion planting cultivates foods that grow well together and nourish each other’s roots, enhancing their flavors, nutrients, and resilience to pests and diseases. Other ways kids can avoid pests and diseases is by planting herbs and native plants that encourage beneficial predators to the garden and by selecting local organic heirloom seeds. Organic Balsamic Vinegar is made from fresh grapes being boiled with the juice, skins, seeds, and stems, unlike wine vinegar. To qualify as balsamic vinegar, it has to be aged at least 12 years in wooden kegs. When kids cook with balsamic vinegar, it gets sweeter, bringing out the sweetness in the organic veggies. Balsamic vinegar is rich in antioxidants that are heart healthy, improve the body’s immune system, and fight cancer and cell damage. Kids can put ½ cup organic brown basmati rice in a pot with 1 ¼ cup water and simmer for 50 minutes. 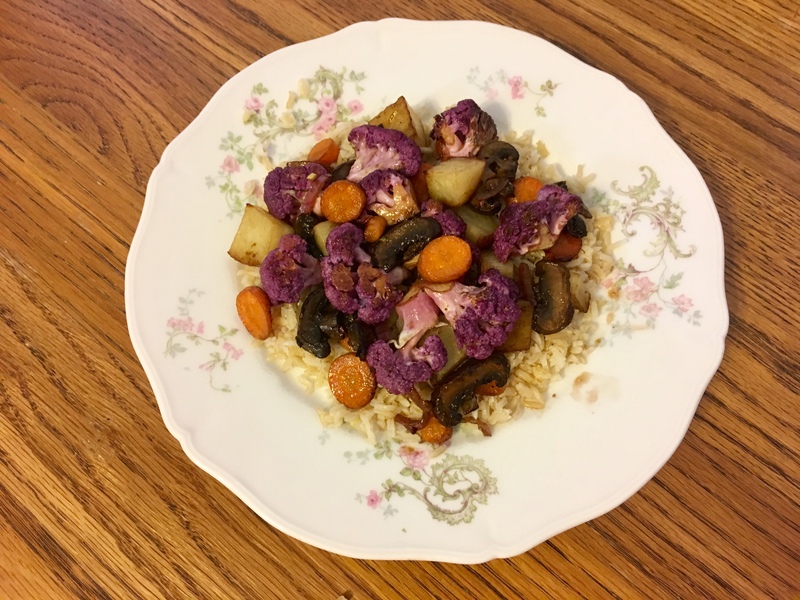 In a shallow pan, kids can put 1 chopped organic red potato, 5 sliced organic crimini mushrooms, ¼ cup chopped organic red onion, 1 ½ cup chopped organic purple cauliflower, and 1 chopped organic carrot (or any 4 cup combination of favorite veggies). In a small bowl mix with a fork, ¼ cup organic balsamic vinegar, 3 tbsp organic extra virgin olive oil, ¼ tsp organic dijon mustard, ½ tsp sea salt. Pour the marinade over the veggies and let them sit in the pan for 30 minutes. Kids can preheat the oven to 425° and line a sheet baking pan with parchment paper. After the veggies have throughly marinaded in the balsamic vinegar mix, spread them evenly on the baking pan and roast 15 – 18 minutes. Plate the roasted veggies on top of the cooked organic brown basmati rice and serve. Mass production, food processing, and microwave meals have removed much of the old fashioned flavors our great grandparents achieved by cooking from whole foods. When kids grow an organic raised bed veggie garden, they can rediscover the big flavors of cooking organic produce from scratch. Herbs: Kids can add health and flavor to every meal by clipping a sprig or two of the herbs they are growing among their veggies. Herbs, like mint, rosemary, cilantro, and basil, are aromatics used in savory and sweet preparations. 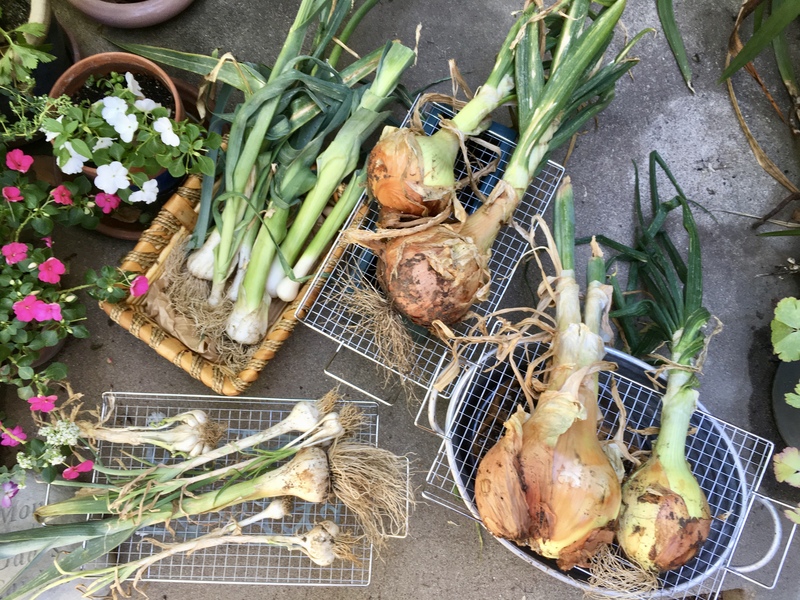 Bulbs: Favorite flavor boosters around the world are onion and garlic, which are bulbs that kids can plant on the perimeter of their garden to repel pests. Spices: Kids can also grow aromatic spices in their garden. Spices can be a tree bark, like cinnamon, a flower bud, like clove, a pod, like cardamom, a berry, like black peppercorn, or a root, like turmeric and ginger. Many spices are seeds, such as coriander, cumin, fennel, fenugreek, mustard, nutmeg, poppy, and sesame. Roasting seeds and nuts bring out their flavor and aroma and adds crunch to the dish. Chilies: Kids can grow chili peppers in their garden to add heat, fragrance, and brightness to food. The active ingredient that produces the heat in chilies is capsaicin, which releases endorphins in the brain and brings a feeling of well being. Kids can experiment with the basic tastes that our taste buds perceive, which are salt, acid, sugar, fat, bitter, and umami. To get big flavor in a dish, kids can learn to balance the recipe with the right amount of each of these tastes. Salt: Kids can make their food taste better by balancing the basic tastes in their dish and continually adding pure sea salt, such as Real Salt from Utah, throughout the cooking process. Sugar: There are many organic sugars kid can add to recipes, like pure maple syrup, date sugar, coconut sugar, pomegranate molasses, or organic cane sugar. Acids: Kids can grow a citrus tree in a pot on the patio for fresh citrus juice and zest that can be added for a bright finish to any dish. Organic apple cider vinegar or organic balsamic vinegar are also healthy and delicious acid choices. Bitter: Kids can get balance of flavors by adding radicchio, chicory, arugula, or endive to their dish. Umami: Umani is a Japanese word for the savory flavor found in proteins, mushrooms, cocoa, truffles, tomatoes, and soy sauce. Kids can learn to taste as they cook and recognize when they achieve that wonderful balance of flavor. Springtime is the perfect time for kids to plant their first garden. An herb garden is a good choice, as herbs are easy to grow, most being hardy perennials, and once established will keep growing year after year. Herbs will grow in pots, window boxes, or mixed into a raised bed veggie garden. Herbs help keep aphids and other harmful bugs out of the garden. Pollinators and beneficial insects, like honeybees, butterflies, and ladybugs, love their flowers, making herbs the best companion plants for the vegetable garden. Kids can find the perfect container, organic vegetable and herb potting soil, and organic seeds at their local garden center. Kids can choose organic perennial culinary herbs like oregano, rosemary, sage, chives, and thyme to add flavor, nutrients, and healing properties to any dish. Fill the container with the organic potting soil and add water to make it damp but not soggy. Kids can plant the seeds with a stick next to them to name the herb planted. Locate the herb garden close to the kitchen to easily harvest for dinner. Kids can water their garden by testing the soil for dampness with their finger. Soon little sprouts will pop up. By the time summer comes, kids will have an abundant herb garden to harvest. Kids can cut herb sprigs harvested from the tops of the plants with scissors early in the morning for dinner. By adding a teaspoon of a particular organic herb, kids can transform an ordinary dish into a gourmet feast. Kids can grow asparagus in a permanent landscape area or raised bed garden, as it is a perennial veggie, rich in fiber, folate, and vitamins A, C, and K. Asparagus needs to grow two to three years before bearing edible spears, then kids can harvest the spears in early spring. Preheat the oven to 350° to bake this yummy dish. 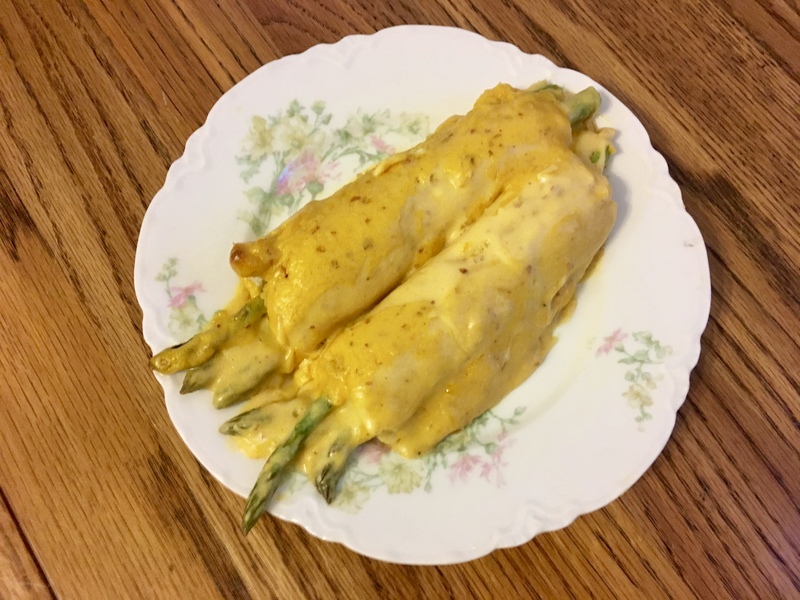 Kids can make a nacho sauce for the asparagus by steaming 1 cup chopped organic potato, ½ cup chopped organic carrot, ¼ cup chopped organic red onion, 1 minced garlic clove, and 1 deseeded organic chili until fork tender, 8 – 10 minutes. Pour the veggies in the blender and add ¼ cup organic canola oil, ¼ cup plain organic almond milk, 1 tbsp nutritional yeast, 1 ½ tsp organic arrowroot flour, ½ tsp sea salt, and 2 tsp fresh lemon juice. Blend until smooth. Kids can cut the crust from 4 slices of organic sourdough bread and flatten them with a rolling pin. In each slice of bread put 3 – 4 organic asparagus spears and roll up the bread. Place the rolls in a glass baking dish and pour the nacho sauce over them. Bake for 20 minutes. Kids love this spring treat with a green salad.